Author of Happy Money: The Science of Happier Spending. If you think money can’t buy happiness, you’re not spending it right. Dr. Elizabeth Dunn, co-author of Happy Money, is one of the world’s leading experts on how spending habits shape happiness. She demonstrates that you can get more happiness from your money by following five principles, from choosing experiences over stuff to spending money on others. Along the way, you'll learn about research showing that luxury cars often provide no more happiness than economy models, and that changing how you spend as little as $5 can make a difference for your happiness today. Many companies purport to offer increased happiness to their customers. Going beyond the happiness hype, Dr. Dunn shows how companies can harness new scientific research to deliver on this promise. Drawing on her research with individuals and companies around the world, Dr. Dunn demonstrates that simple tweaks to products and services can substantially increase customers’ happiness. If you own a smartphone, you’re currently carrying as much computing power as early spaceships took to the moon. And new mobile devices, from the Apple Watch to smart jewelry, promise to keep us constantly connected to the internet, anytime, anywhere. But are these amazing new technologies actually making us happier? 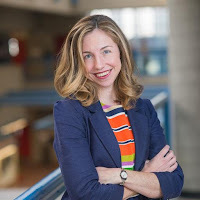 Dr. Elizabeth Dunn will describe new findings from her Happy Lab, showing that being constantly connected to the internet may carry hidden costs for human well-being. Dr. Elizabeth Dunn’s research shows that giving money to charity makes people happy—and can even lower blood pressure. And yet, those who make the most money donate proportionately less of their income to charity. In this talk, Dr. Dunn describes the psychological factors that can ‘flip the philanthropy switch,’ transforming the financially successful entrepreneurs of today into the Warren Buffetts of tomorrow. Dr. Elizabeth Dunn is a professor in the Department of Psychology at the University of British Columbia. Dr. Dunn conducts experimental research on self-knowledge and happiness, with a current focus on how mobile technology can both support and undermine human well-being. 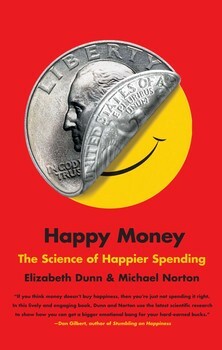 She is the co-author of Happy Money: The Science of Happier Spending (Simon & Schuster) with Dr. Michael Norton. Her work has appeared in top journals, with three papers published in Science, and she has given talks at PopTech! and TEDx. She was selected as one of the “rising stars” in academia by the Chronicle of Higher Education in 2004 and was an honoree for the 2007 Mind Gym Academic Prize for pioneering work in positive psychology. In 2010, she received a New Investigator Award from the Canadian Institutes of Health Research, as well as UBC’s Robert E. Knox Master Teacher Award. Her research has been featured in hundreds of media outlets around the world, including The New York Times, The Globe and Mail, The London Times, Maclean’s, Time, and CNN. Dr. Dunn is also an avid surfer and skier.